I received All About Spelling level 7 for free. No other compensation was provided. All views and opinions expressed are my own. This post contains affiliate links. All About Spelling is a well-rounded program that is mastery-based, multisensory, and, after some initial prep, is completely open-and-go. 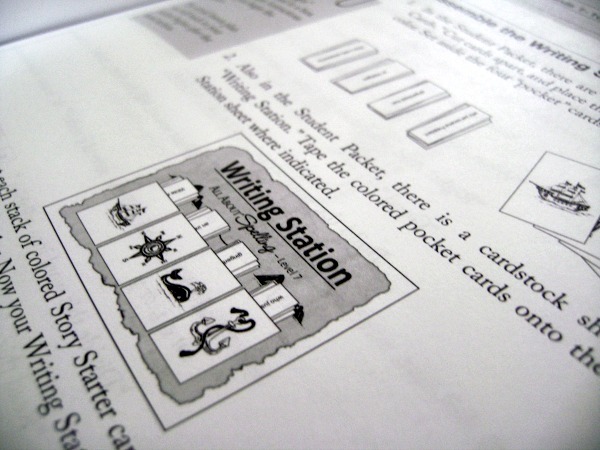 It's fun for kids, with the hands-on letter tiles and review cards, and it's easy for moms to use. With all the rave reviews I'm surprised that I see so many asking if they should switch to a different program after level 3 or 4. Should you stick with All About Spelling? Why do many people switch after using level 3 or 4? One of the biggest concerns I hear is that it takes too much time to teach spelling. Well, I'm here to tell you that after those first few levels, lessons take a lot less time than the early years, for a variety of reasons. Spelling lessons are a new thing. There are many sounds and rules to memorize. Young children are working on many new skills all at once. Young children who are just beginning spelling lessons are taking in a lot of new information. They are still in the early stages of reading and handwriting. So now, on top of those new skills, they are learning all these new rules, sounds, and words. Younger children just take longer to write (and to think!) so lessons can seem quite long. We've discovered that lessons in the later levels don't take nearly as much time. Older kids read and write much more quickly. They've learned most of the rules and sounds so, at this point, it's a matter of cementing the information while they are working on these last few levels. When we started the series it took us about 20-30 minutes 4 or 5 days a week. Now lessons generally take us about 15 minutes 3 times a week. Along with the growing maturity, kids who've used the program since starting their homeschool journey will be very familiar with the phonograms and rules. In the early years reviewing the cards is done daily because younger children need that constant review. But, as they progress through the levels and those mastered piles grow larger, review actually takes less time because those rules and sounds have become so familiar. Added to that is the fact that there are fewer cards and rules to memorize as you progress through the levels. Where once we needed to review cards daily or a few times a week, we now only go through the cards once a week for a quick review. We've used the program for so long that many of the rules are just naturally memorized, which makes them easier to apply to new spelling words. A natural part of maturing students is their ability to work independently, and All About Spelling has anticipated that growing change. Early levels have students practicing the words with letter tiles before 'spelling on paper'. 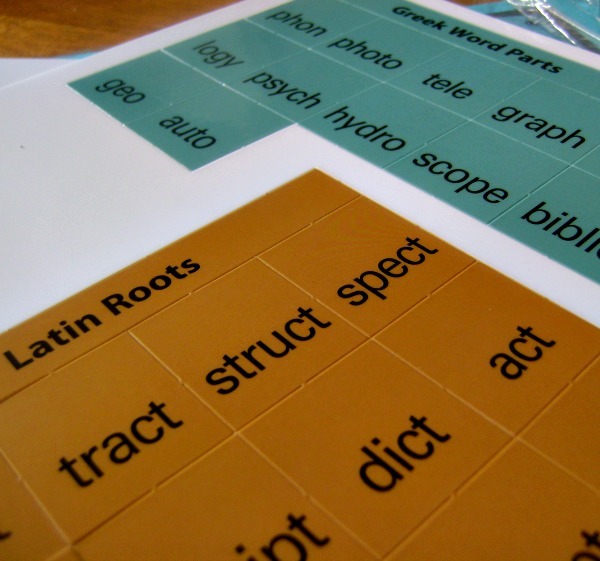 These later levels of the program make a shift away from that to having students apply a variety of spelling strategies to new words (here's a list of strategies). After some coaching from mom, independent learners can and should begin applying these strategies on their own. If you are considering your options after All About Spelling levels 3 or 4 I encourage you to stick with the program. The later levels continue to build on the firm foundation built in those first few years. Of course, there are fewer rules, but there are still spelling lists, dictation, writing ideas, word roots, and plenty of opportunities for children to apply their spelling knowledge and gain independence in their learning. Tell me about your journey with All About Spelling. Are you using levels 5-7?